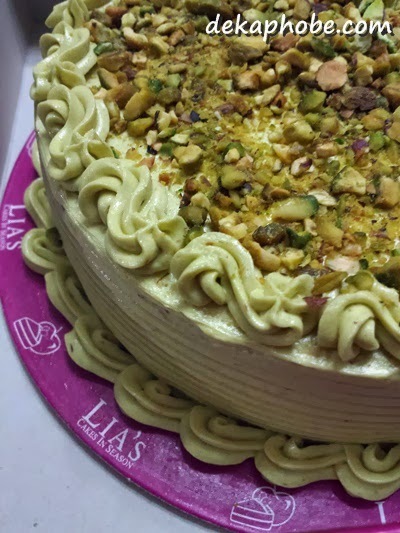 This dessert has chiffon cake with avocado frosting, generously-topped with crusted pistachio on top. 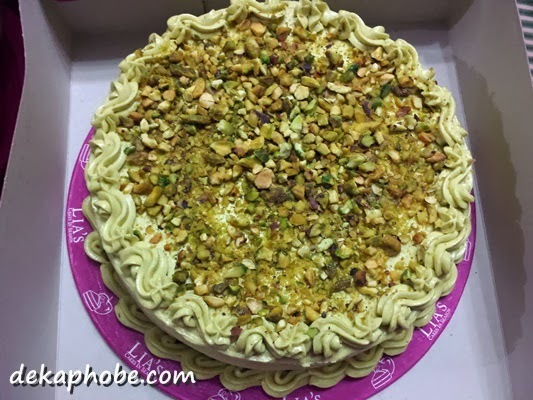 It is not too sweet, but the delicious avocado frosting totally makes up for it. 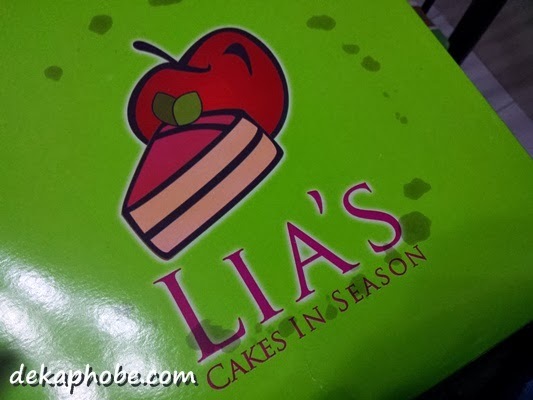 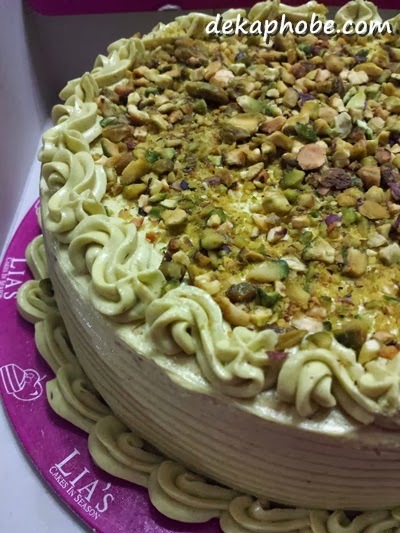 Aside from the avocado cake, Lia's Cakes in Season also has other cakes and specialty treats like cupcakes, silvanas, taisan loaves, cookies and polvoron. I actually bought my Christmas giveaways last year from them as they also have their goodies in beautiful packaging. 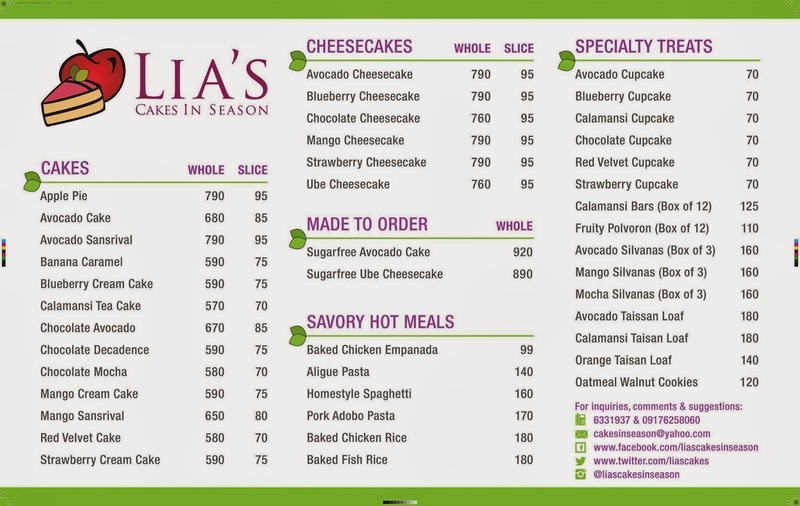 A whole cake costs Php 680 while a slice costs Php 85.